Order from Amazon (UK) here! Order from Amazon (US) here! Find online alternatives to Amazon in the US here and in the UK here! 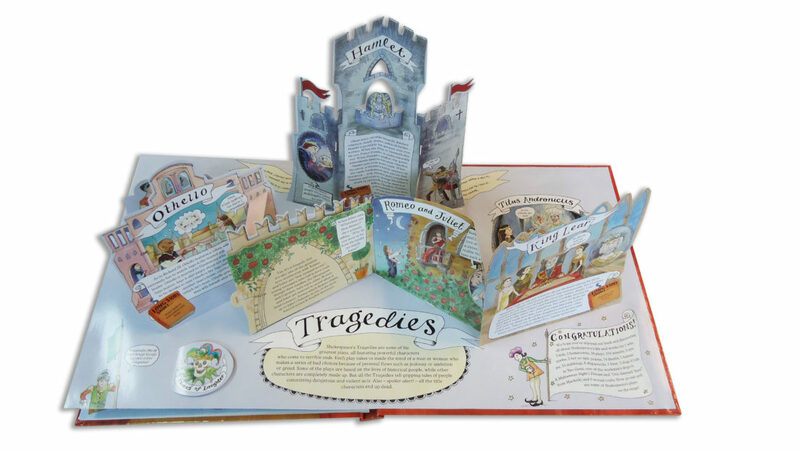 Discover all 39 of Shakespeare’s magnificent plays within artist Jennie Maizels‘ playful cartooning and delightful pop-up castles, forests, and tempests! 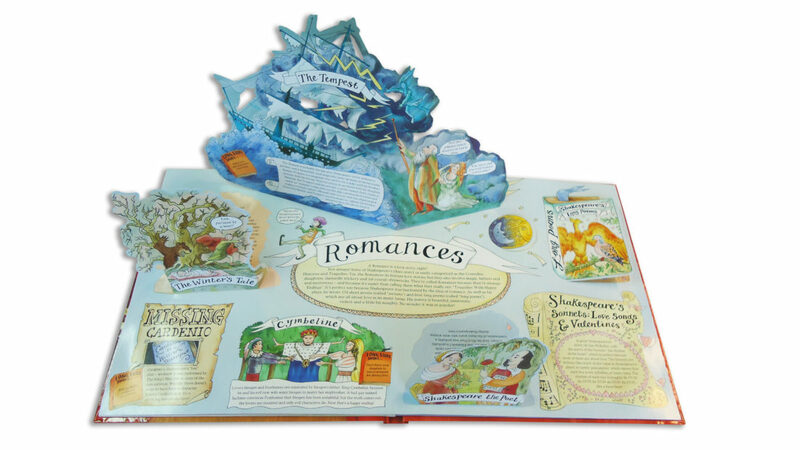 The Romances (including the Sonnets)! Authors Reed Martin and Austin Tichenor tell you all about it (filmed April 23rd, Shakespeare’s birthday, 2017)! 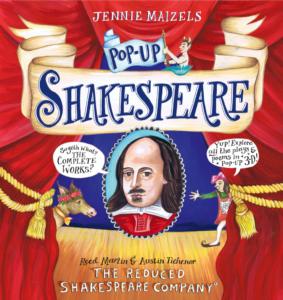 Flip through the pages of POP-UP SHAKESPEARE with artist Jennie Maizels! 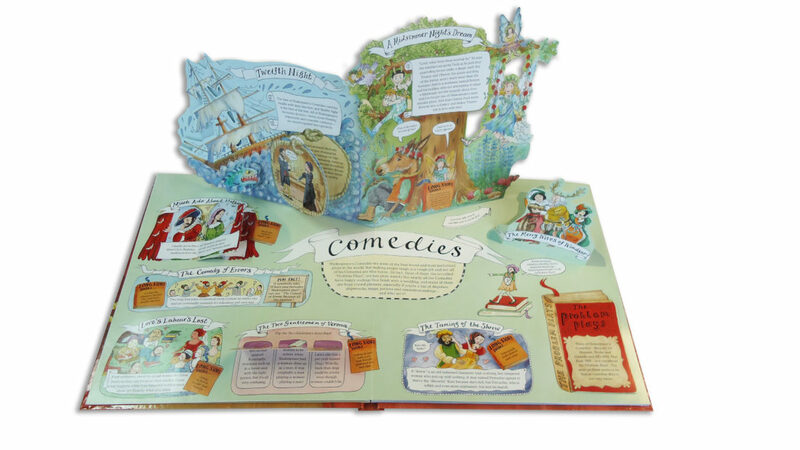 Hear artist Jennie Maizels talk about the creation of the book here on the RSC Podcast! Hear authors Reed Martin and Austin Tichenor talk about writing the book here! 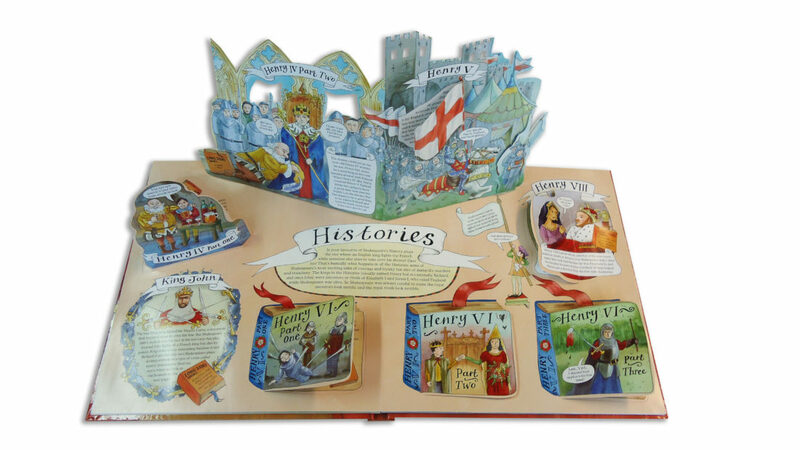 Hear Walker Books’ Daisy Jellicoe talk about editing the book here! Nicole Galland, author of I, Iago and (with Neal Stephenson) The Rise and Fall of D.O.D.O. Read Publishers’s Weekly’s starred review here! Read Kirkus Review’s starred review here! It’s a wonderful teaching tool! Parents are weighing in too! If you have a picture of you and/or your child enjoying Pop-Up Shakespeare, tweet it to us @reduced and we’ll post it here! POP-UP SHAKESPEARE. Text copyright © 2017 by Reed Martin and Austin Tichenor. Illustrations copyright © 2017 by Jennie Maizels. Reproduced by permission of the publisher, Candlewick Press, Somerville, MA, on behalf of Walker Books London.